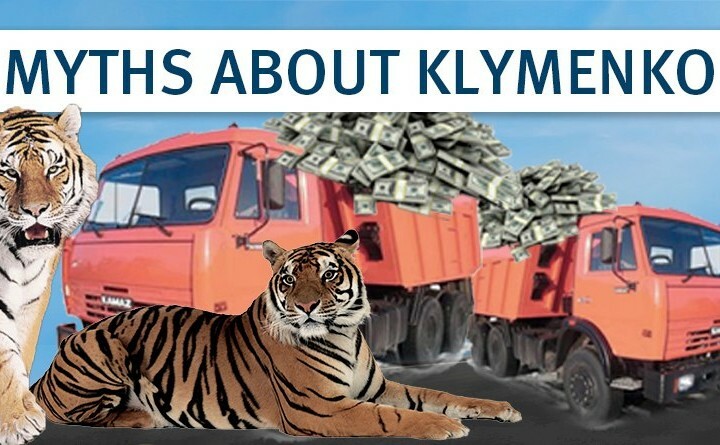 5 myths about Klymenko ⋆ News ⋆ Official website for Oleksandr Klymenko. I cannot ignore another “Cry of Yaroslavna” in Facebook. It does not come about some person, but Arseniy Yatsenyuk, who loudly complains about the alleged lies, slander and informational security operation against himself. I will not comment the essence of the charges and counter-arguments. Just one question. Why did not Arseniy mention dirty informational companies during 2014-2015, when he and his mates were throwing mud at me during the live broadcasts of all the channels on the country in order to hide his incompetence and inability to carry out reforms. Why did not he think about it, when he was shouting about alleged “KamAZ” with money and some enchanting VAT fraud during the talk shows? Why should we talk about me? Millions of people who have tightened their belt expecting for the promised economic miracle? Why is he concerned about the issues of some villas, not about the life of citizens with UAH 27 per dollar, enormous tariffs and prices, and the lack of workplaces? Where is your miracle, Arseniy? What about a bullet in the forehead? Here is the short likbez, 5 MYTHS ABOUT KLYMENKO, which were created by efforts of my opponents, and my thoughts about it. Nonsense. Firstly, KamAZ. How can you imagine it physically? Some populist blurted it out during the «Shuster LIVE» and everyone trusted him. Yes, representatives of tax service were peculating at all times – before me and especially after. It comes about both the common tax services and the highest positions in Kyiv. Why did they steal? Nowadays (and even before) it is easier to pay all taxes than reach an agreement on percentage. However, I was the one, who said: “No more. It will not be like this. You will pay to the budget”. That is why, they did not like me that time. So do they now. All these statements of the Prosecutor’s Office are their attempts to demonstrate that they are doing something. They have been investigating something for 2.5 years. However, they far have found no evidence! It is simple. There is no evidence. There are wild guesses and desire to denigrate me. I have repeatedly emphasized that I was invited to apply for the position of the Minister because I demonstrated that I am able to build processes systematically and be rather harsh and principled leader if necessary (during my work at the regional level). I was invited to carry out reforms in tax and custom field. In fact, I was dealing with it. You should look in the Parliament in order to find the most odious Yanukovych supervisors. Nowadays, each person, who is disagreeable to the power, is being called Kremlin agent. It comes about a matter of worldview: radicals, who are spreading chaos in Ukraine, can also be considered as Kremlin agent and infamous «shatun». If I were a real «Kremlin agent», I would probably build LNR/DNR and would not spend all my time and efforts in order to develop the «Uspishna Kraina» party. I have nothing common with these tigers and bears. And I can explain why. However, it is easier to believe in unbelievable things, than in something simple and understandable. Thus, yes. I really love animals. Yes, I helped to transport them to Zaporizhzhya zoo, where it is really comfortable for them to live. I hope that I will be able to come to see them personally. In terms of iron room, I have repeatedly explained. This is not a room, but an equipment. It was necessary for secret negotiations. If you demand payment of taxes from oligarchs, you should be ready for provocations. By the way, as far as I am concerned, according to media, my odious “iron room” materialized in administration of Poroshenko somehow. However, according to revelations of Mr. Onishchenko, Petro Oleksiyovych did not understand, how to use it and how to switch it on. Few people know about the fact that I came into politics from business during the first Maidan in 2005. After Maidan in 2014, young people, who were striving for changing the country for the better, came to politics. In 2005 there was a fire in my eyes. I had plethora ideas and I knew, what to change and how to do it, which reforms should be carried out. 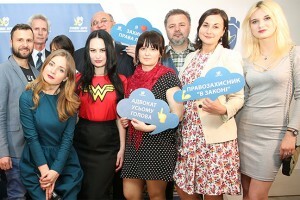 However, of almost all reformers from 2014th did nothing and gave up, I would be able to create a team and build the system work in tax service at the regional level, and in Ukraine as a whole. Many people do not remember opened service centres for taxpayers and implemented electronic reports with free keys, abolition of inspections of cash discipline and other things after two years of lies and populism. I was thrilled to bits that my efforts and the work of my team helped hundreds of thousands of people. Trust me, the power is not the end in itself for me. Power – is serving. It is extremely heavy burden due to moral choice: «Will you use it for the good of people or for your own pocket?».